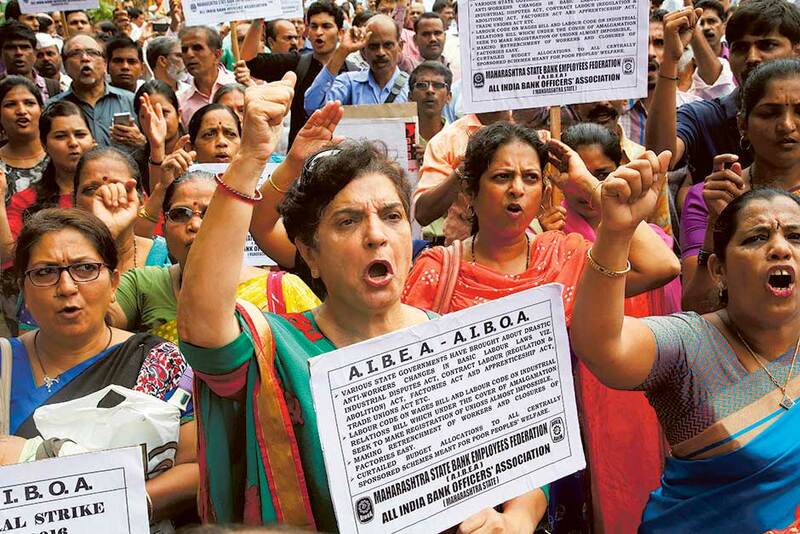 New Delhi: A 24-hour nationwide strike called by ten major trade unions in India on Friday evoked mixed response with capital Delhi and Mumbai not affected whereas much of Karnataka witnessing complete shutdown. 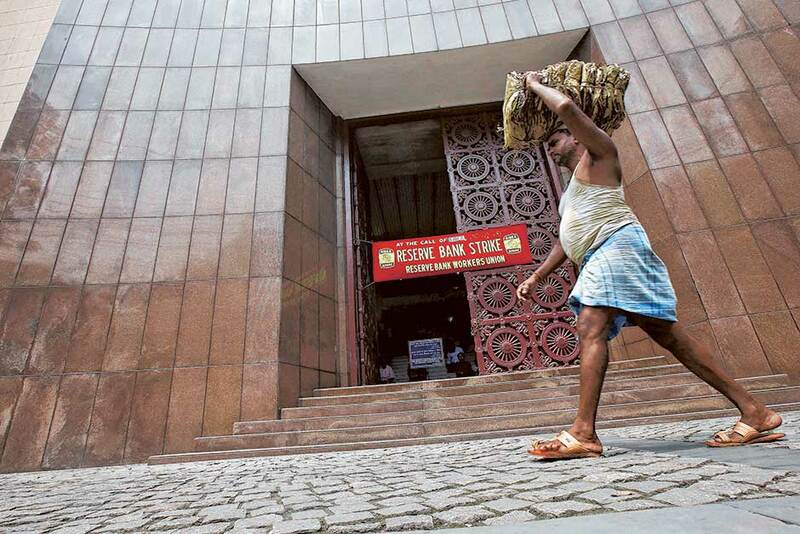 Public sector banks across the country, except the State Bank of India, were shut but private banks worked in most states and customers could access all banking services. Delhi government invoked the stringent Essential Services Maintenance Act (ESMA) and a strike by 20,000 nurses in Delhi was declared illegal. 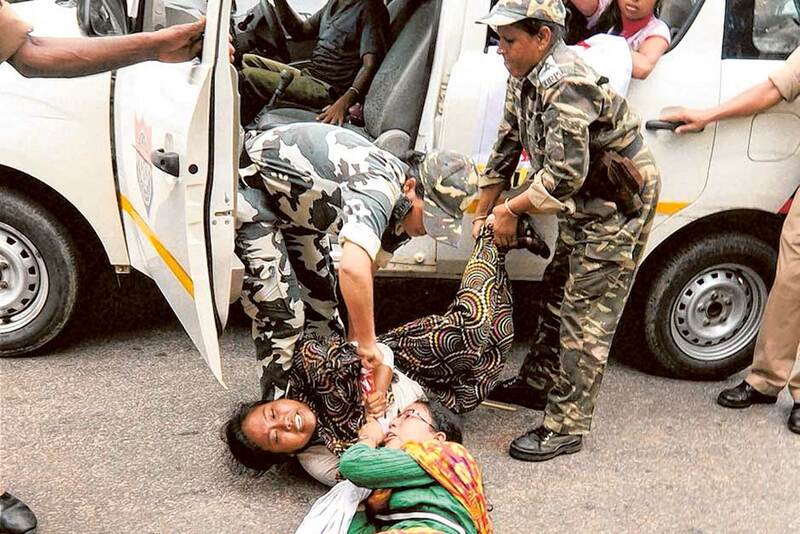 They were allegedly manhandled by police before being dragged into buses and detained. 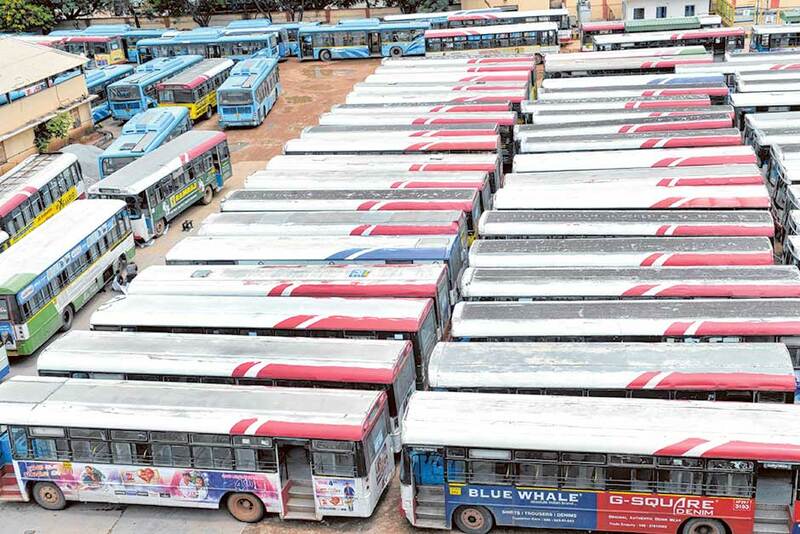 Public transport remained unaffected in Delhi and Mumbai, but public vehicles were non-operational in Kerala and parts of Uttar Pradesh, Haryana and Punjab. More than a million workers were believed to be on strike to protest against new labour and investment policies and to demand better pay. “Workers actively participated in the strike despite the use of state repression including the use of police force in some states like West Bengal, Haryana, Uttar Pradesh, Assam etc. The Trinamool Congress government in West Bengal used the brutal force of its police as well as its goons to physically attack the workers on strike,” Centre for Indian Trade Unions (CITU) general secretary Tapan Kumar Sen told Gulf News. 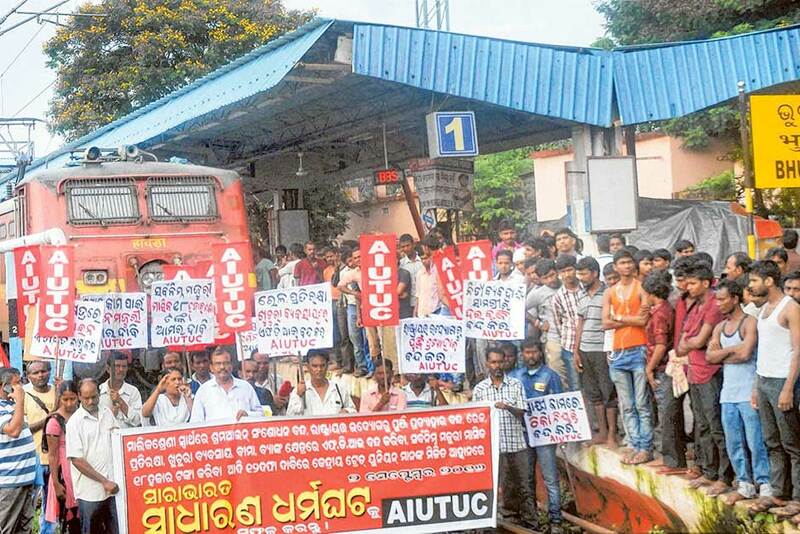 Dissatisfied with the government’s response, all central trade unions, except Bharatiya Mazdoor Sangh (BMS), have joined the nationwide strike. The charter of demands includes a hike in minimum wages, providing social security to scheme workers, speedy registration of trade unions, among others. The unions have also opposed the government’s proposed labour law reforms terming them as “pro-capitalist” and “one-sided” measures. Employees of state-run Coal India Limited were among the striking workforce. However, Coal and Power Minister Piyush Goyal said the power plants have enough coal on hand to operate even if nothing is mined over the next 50 to 60 days. Union Labour Ministry officials said except coal and banking, none of the sectors saw major impact. “Coal and banking sectors are reported to have been impacted to an extent. Other sectors are absolutely unaffected,” sources in the Labour Ministry said. Auto drivers associated with CITU are participating in the strike, but not all the 10,000 to 15,000 union members will be off the roads. “There is a complete shutdown in private hotels, hydropower projects and central departments like the Central Board of Excise and Customs,” CITU leader Jagat Ram told Gulf News. Trade union workers blocked the main central garage of the Indian Space Research Organisation (Isro) in Thiruvananthapuram, Kerala. A majority of the 6,000 work force attached to ISRO’s three units in the state were not picked up for work. In the past, Isro in Kerala has not allowed such strikes to affect their work as their vehicles move in convoys with Central Industrial Security Force (CISF) security guards. “Isro has always threatened people who organise strikes using the gun-toting CISF security guards and hence we decided to block the main garage where 260 buses and 400 cars are parked,” Communist Party of India (Marxist) leader V. Sivankutty told Gulf News. West Bengal has been mostly peaceful. Before leaving for Mother Teresa’s canonisation ceremony in the Vatican, West Bengal Chief Minister Mamata Banerjee ensured that the state government took all necessary steps to ensure that people reach their workplaces safely and get on with their daily life normally. “Today’ strike is illogical. The government has proactively increased minimum wage by 42 per cent. The Centre had announced a slew of measures on Tuesday including hiking the minimum wage for central public sector unit workers, vowing to provide medical facilities to unorganised workers and urging states to register trade unions within 45 days,” he said.